Josh had begun exploring martial arts from the age of 10 years old. He then began studying martial arts more seriously at the age of 12 in the form of Tae Kwon Do eventually earning a blackbelt. Seeking further challenges and knowledge, Josh had then made the switch to Kickboxing and has participated in several amateur bouts under various codes over the years. 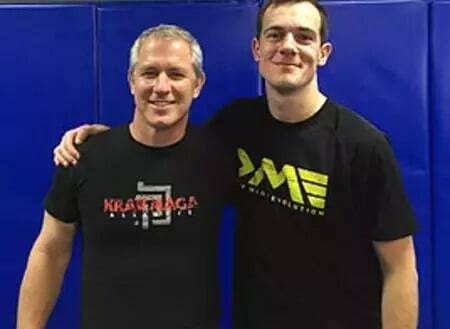 After seeking something that was more based around reality and self-defence as opposed to sport, Josh had begun training in Krav Maga in 2010 and is now a Level 6 Black Belt Certified Krav Maga Alliance Instructor under John Whitman. In addition to the above, Josh continues to train and compete in Kickboxing under the tutelage of George “the Iron Lion” & Stan “The Man” Longinidis where he a brown belt in their system. Aside from training, Josh is also an accomplished musician, enjoys travelling and cooking.